My husband has been hounding me for years to go camping. I am so not a camping person, so I’ve been resisting… I mean, I just could not see myself in a tent, freezing all night, cleaning dishes in cold water, not having a shower. Exactly my opposite of vacation fun. Fast forward to the beginning of this summer. I found a little 1969 camper for sale on Kijiji and bought it on a whim for $800. Suddenly, we were camper owners! What the! 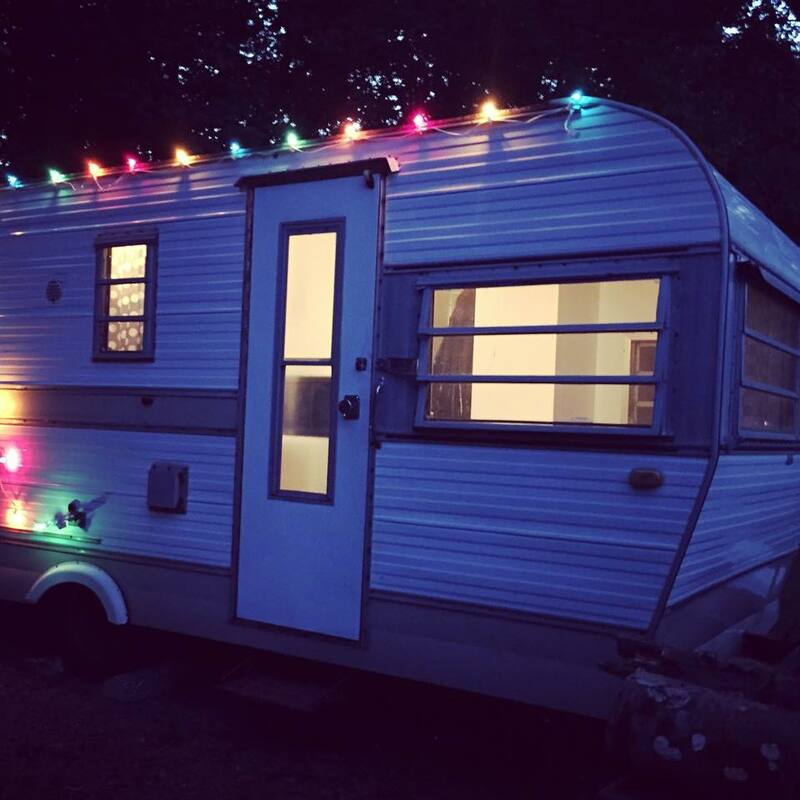 My plan was to re-vamp the old stinky camper into a beautiful little “Glamper”. Mission almost accomplished! Just waiting for my new interior doors to be made and inside will be complete! Outside will happen next year. Needless to say, we were the only people with a 1969 camper last weekend. So, we found the only date that would work to go camping with our friends, September 12-14th, the weekend after labour day. 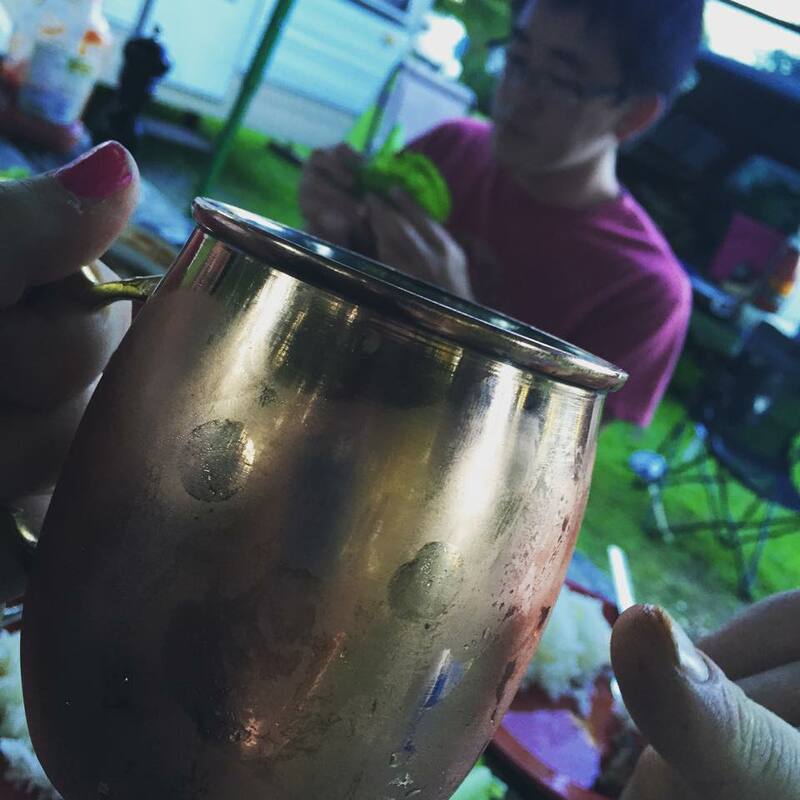 This turned out to be the BEST weekend ever to go camping. Everyone else had packed up for the year, the weather was cool enough for cozy sweaters, no sun burns, it was perfect. 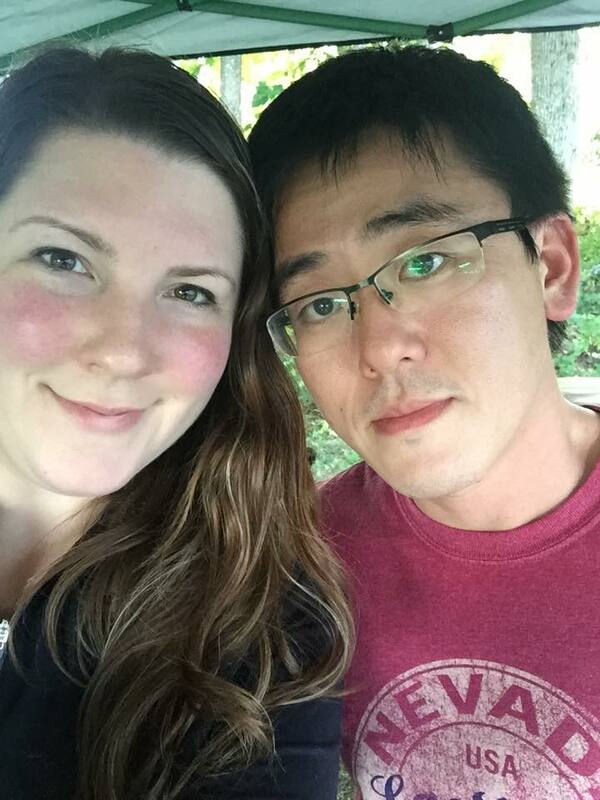 In preparation for the weekend, my husband and I sat down together to think about what Korean foods would be best for camping, and what we most wanted to introduce to our friends, who have never experienced Korean food or culture. It was really fun to come up with a menu that we hoped would be satisfying and exciting. We arrived at the campground around 3PM, in the cold rain. Luckily we brought a canopy! Shortly after, we started to prepare supper. Night one supper was “Dak Galbi”, a spicy chicken meal. 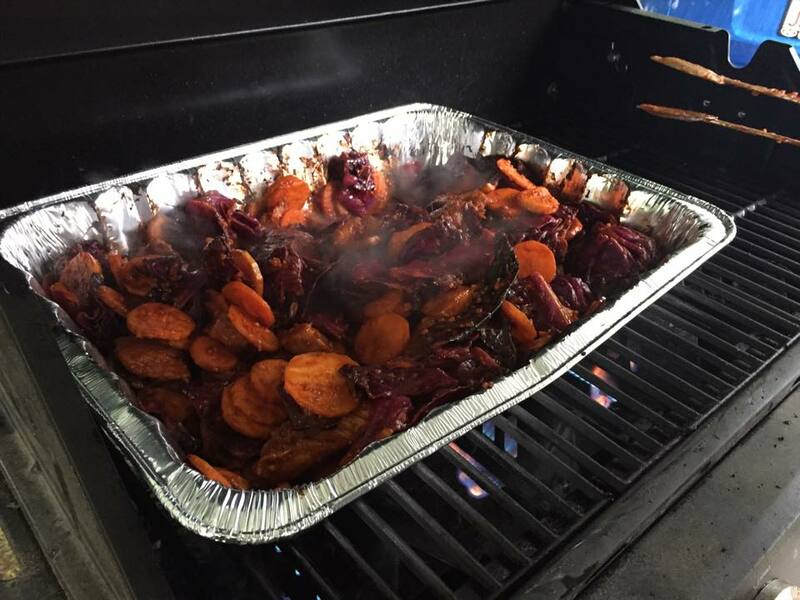 My hubby prepared the meat the night before at home, so we just had to dump it into a tinfoil dish and cook on the BBQ. It was so good! In addition to the chicken and spicy sauce, we added sweet potato, carrot, onion, and cabbage. We sat in anticipation waiting for our friends to try Dak Galbi for the first time. SUCCESS! They loved it so much, they even ate the left overs for a snack later that night. Yipee! We also made rice to eat with the Dak Galbi. I find that I can’t eat too much rice with this dish, because the chicken and veggies are so filling. Ahhh this was just so good. Later that night, when it was time for a snack, being Canadian, I obviously roasted Timbits (we forgot the marshmallows, darnit!). You are probably wondering how I came up with the idea to roast timbits. A couple of years ago, when we moved to our new house, we were having a bonfire. We were searching for something, anything, to roast, to keep our then 2-year-old entertained. I found a box of timbits that had been in the car for a couple of days, on the counter. If you’ve ever had day old timbits, you’ll know they aren’t that great. Stale. Ew. So, what did we have to lose? 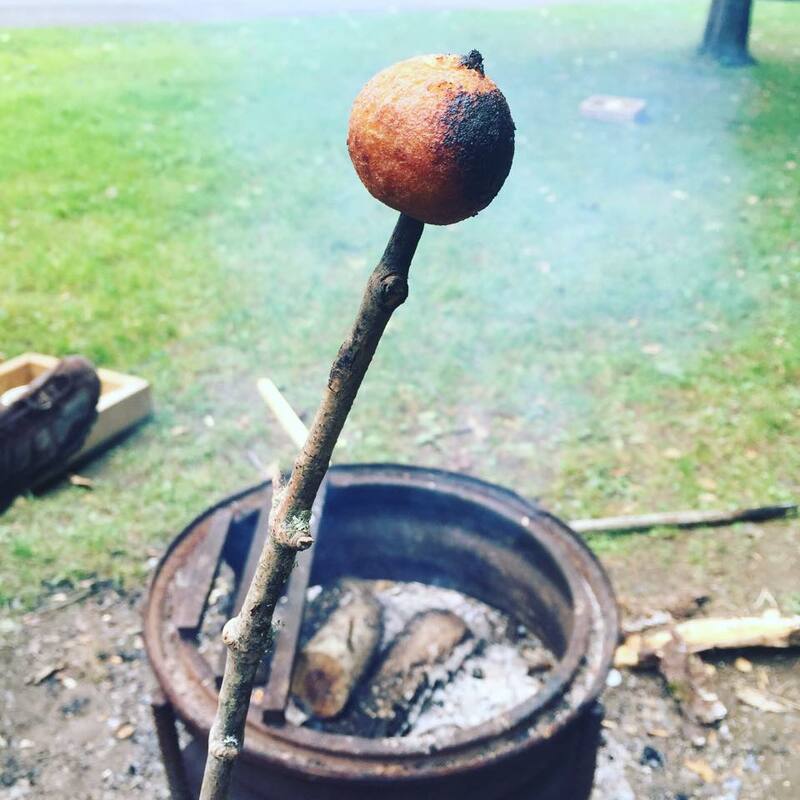 The sugar on the Timbit caramelizes, and takes on a smoky campfire amazingness. I’m leading the roasted timbit campaign, it will catch on. IT WILL! Meanwhile, my husband opted for a more Korean snack. 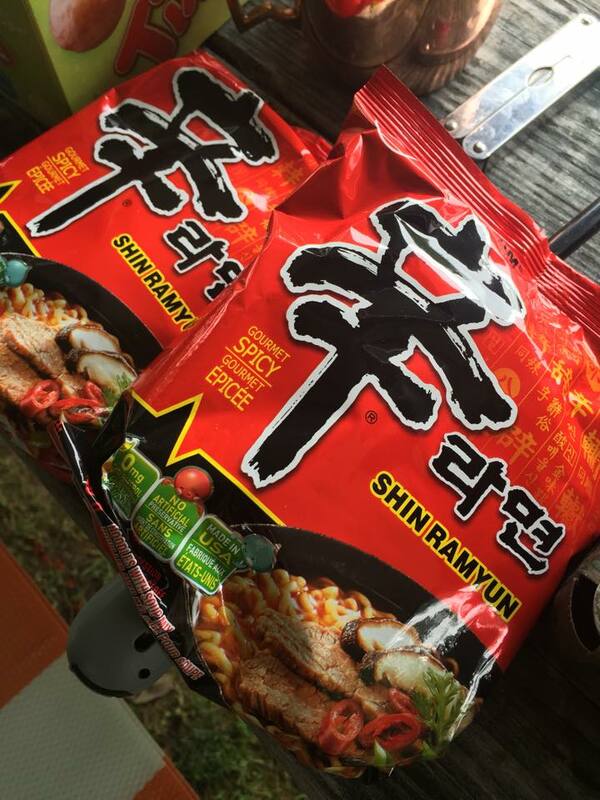 I don’t think he could ever even contemplating going camping without Shin Ramyun. His favourite kind. He boiled the noodles in a pot on the Coleman stove (I was like, come on, just bring the cup noodles! ), but he said no, it’s not the same. Our friends loved the noodles too by the way. 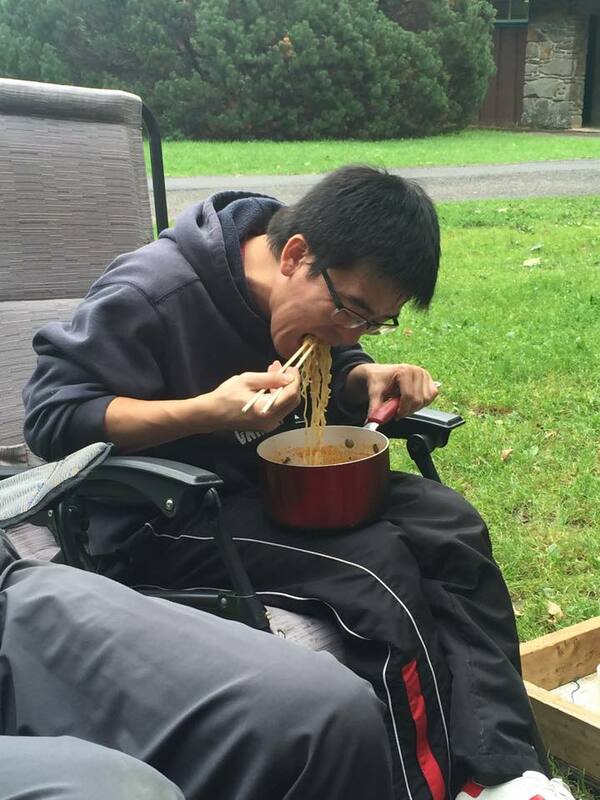 Also, if you know my husband, please don’t tell him I am posting this photo of him sucking down his ramyun. Hehe. The next morning, our friends cooked us normal Canadian food: Hashbrowns, bacon, eggs, toast. My husband managed to make that into a weird (although I endorsed this) combination of a breakfast sandwich. Toast with bacon, eggs, ketchup, and.. maple syrup. The friends were grossed out and I was like “meh, I’ve had weirder”. The first time I went on a picnic with my mother in law, she brought “sandwiches”. They were ham, egg, STRAWBERRY JAM (!!! ), ketchup, mayo and cucumber. I was definitely weirded out. But eventually came to enjoy the monstrosity. Back to camping. The second day, we decided to make Doenjang Jigae and Pork Galbi. The smell of the jigae was just SO intoxicating on the dreary day. Ahhhh…. 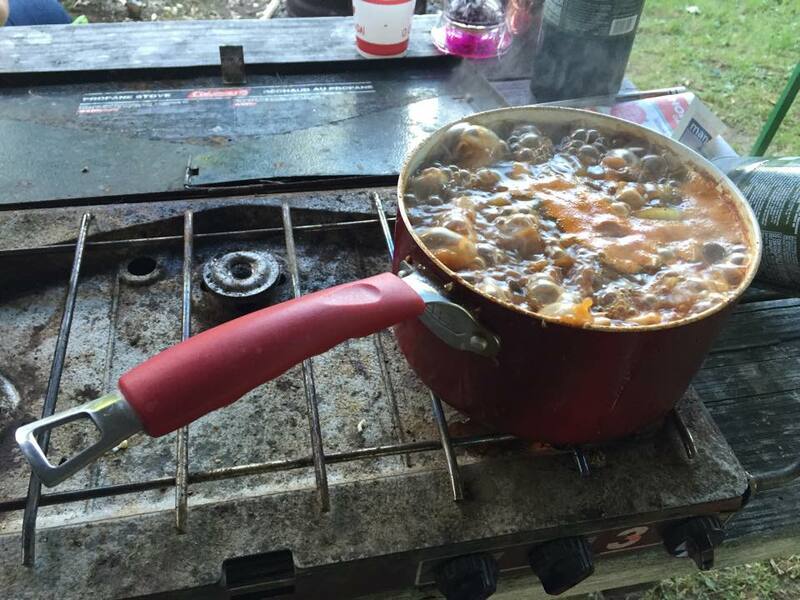 We prepared the base of the soup at home and kept it in a little container, so we just dumped that and the cut up veggies into water, and boiled on the Coleman stove. 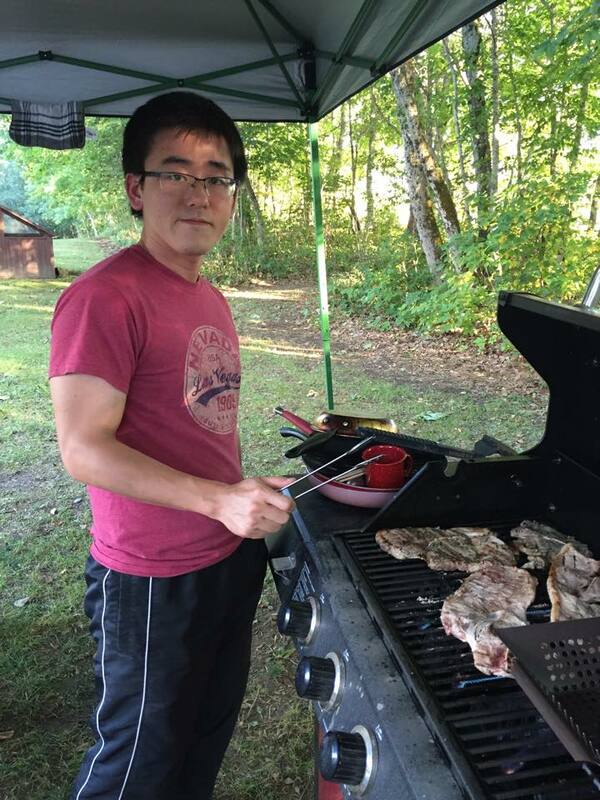 While the soup was cooking, my husband grilled meat and veggies on the barbeque. He marinated everything the night before we left. 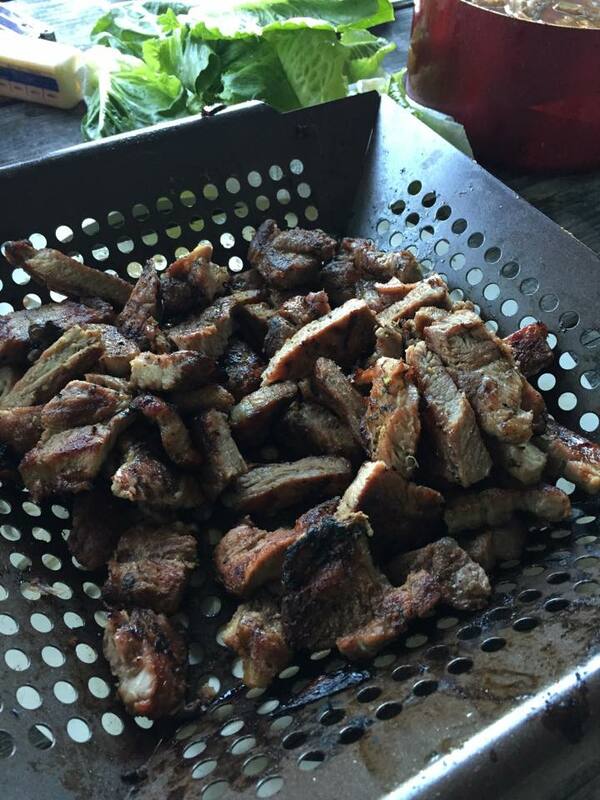 He marinated half in a salty sweet galbi sauce combination, and the other half, he added basil to the marinade. The basil actually added such an amazing yet subtle flavour. I was really surprised and impressed because my hubby usually turns his nose up at the smell of any herb that is not specifically Korean, but he enjoyed this little change as much as I did! We forgot our kitchen scissors. 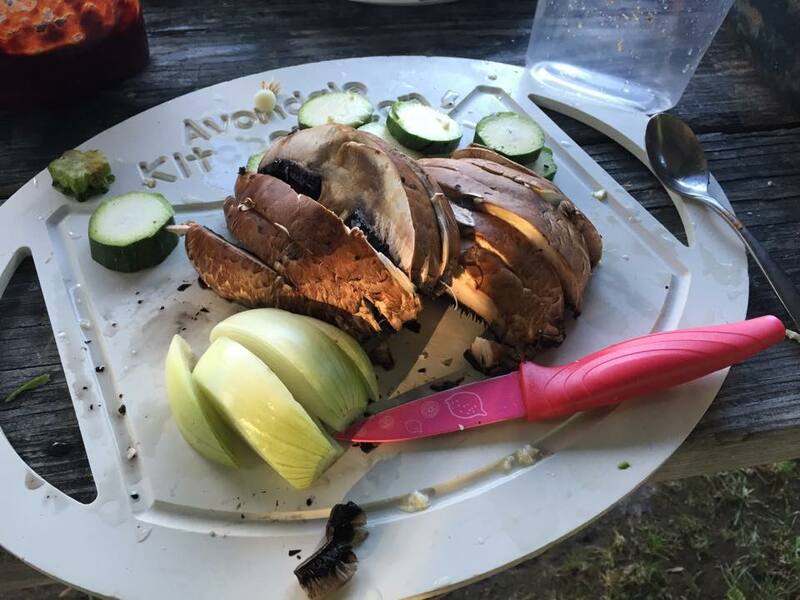 So~ once the meat was thoroughly cooked, he cut it up with a knife on the cutting board, into bite sized pieces for everyone to enjoy. He’s been wanting to buy this metal basket thing from the Superstore all summer, but I kept telling him we didn’t need it. He snuck there and bought it the night before camping, and it actually came in handy. One point for husband. 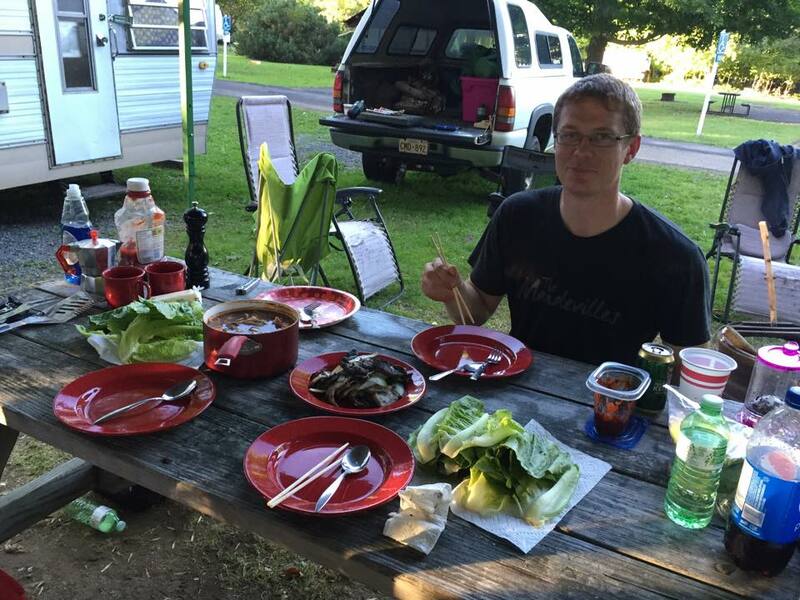 Before we left home, we mixed up some Ssam Jang (Red pepper paste, doenjang, and minced garlic), and cut up lots of romaine lettuce to use as lettuce wraps. 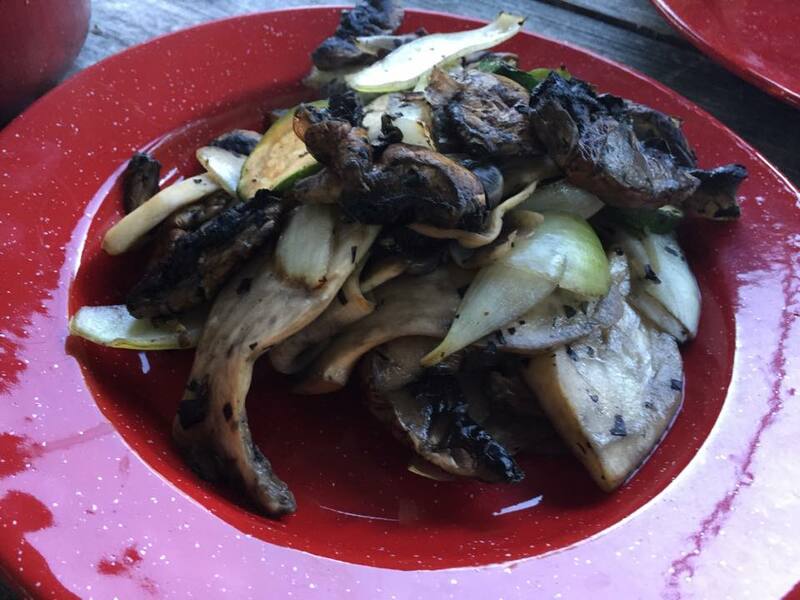 Oh, and we also grilled all of the leftover veggies (Mushrooms, onions, zucchini, ect, to add to the wraps). My husband brewed some beer, and I had a beautiful ice cold glass to go with my grilled meet. It’s happy beer. It was SO good! 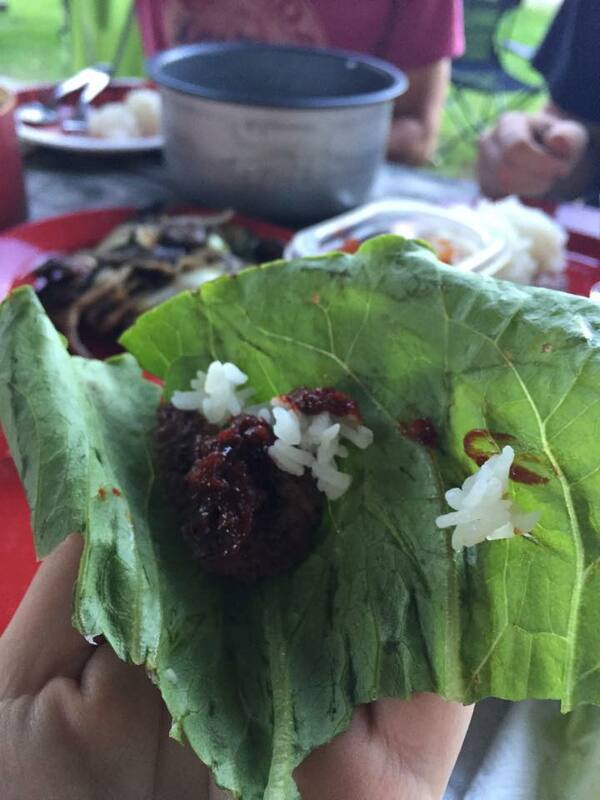 Verdict, on meal #2 from our Canadian friends? Korean for the win! It was so good. We were so full. Look at this beautiful camping spread. Just. So. Good. This camping trip ended up being so much fun! I went from being someone who had to be dragged to the campground, to someone who can’t wait to go back! It was the second time in four years that we have been kid free for a night, and it was so relaxing. I missed our sweet Bobae, but spending time with friends and doing absolutely nothing, was a real treat. I’m wondering now, what type of Korean food should we cook next time? 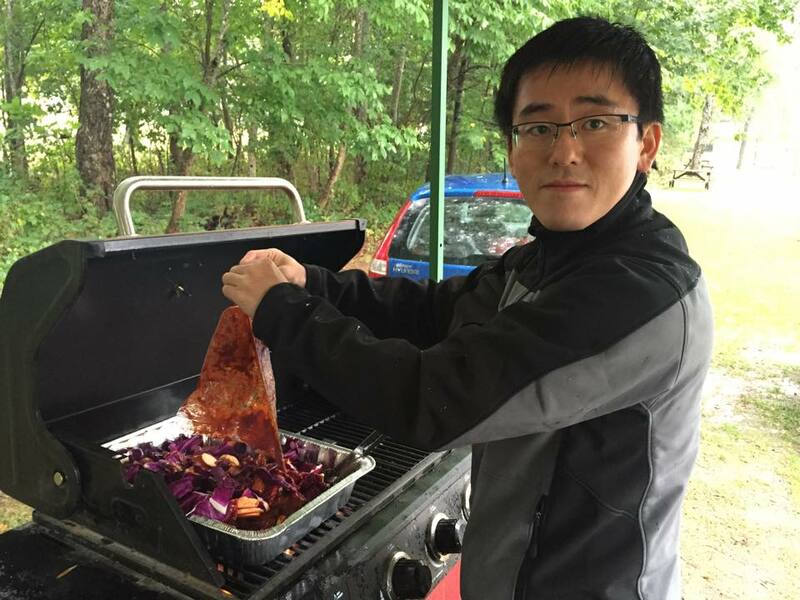 Have you gone camping and made Korean food? Let me know your ideas!